Have you ever walked into an office space and be totally amazed at the view? Or walked down the street and simply had to go into a store after an item in the window caught your attention? Whether you have a store front window that is used to display your merchandise or a high-rise with coveted window space, having windows you can see through unhindered makes good business sense. Whether it is the large picture window of a department store or a small window in a trendy boutique, shop front window space has taken great steps as leading or complimenting a business’s marketing effort. 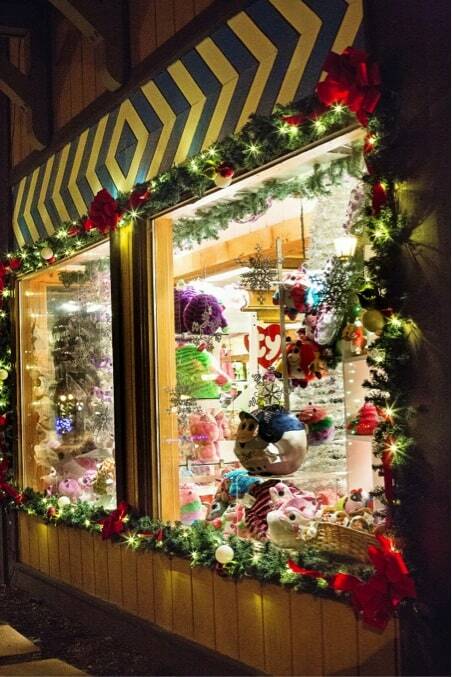 Rather than simply nicely displaying the current seasons stock, store front windows use themes to tie in online and print marketing campaigns, as well as highlight local issues and events (have a look at these Christmas displays here). Don’t think that a second story window shouldn’t be used for marketing either, particularly if it has an amazing view of Spokane! People will be attracted to spend a few moments looking at that window, which is also when you have them captive for complimentary marketing, be it a static advertising poster beside the window or a ‘take one’ brochure sitting below. Whether using high-tech digital displays, carefully placed and color coordinated exhibitions for hiring a living statue for a few hours a day, none of that is going to be worth a cent if your ‘audience’ walks past and can’t see in. In a front facing business you don’t necessarily want your windows cleaned in peak traffic time. You want your customers to be able to see the display, not be focused on avoiding cleaners. So, when you contact a firm, it is a good idea to have at least a general indication of what day/time would best suit. Remembering that you will want to have both the internal exterior windows cleaned. How often you will need your windows serviced will depend on how quickly they get dirty. Factors to consider are how many handprints (or nose prints) will be up against your display window, and what pollution level you are facing. If the interior window is placed near a kitchen, for example, this may need more regular cleaning that if it were near a storage room. In the case of second story windows you are unlikely to want to get the exterior cleaned on a weekly basis, but it should likely be done at least once a month. For big events like Christmas displays think about adding a daily clean to your marketing budget. 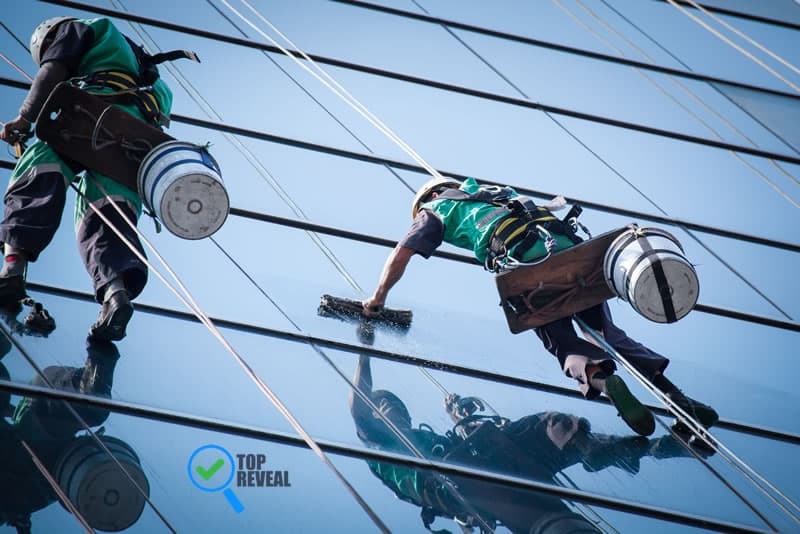 If you have an office, offices or space in a high-rise building you already know that your needs aren’t the same as a residential window cleaning or even a retail space. In Spokane window cleaning of high-rise buildings in particular, should follow strict health & safety guidelines as well as having liability insurance. This is a major reason to go with a reputable firm, even more so if abseiling equipment will be required to access your window exteriors. Some companies think they will be saving money by asking internal staff members or janitorial staff to clean the window interiors. Unfortunately, this will often require these staff members who don’t have training, knowledge, equipment or experience to start climbing on desks in order reach the top of the standard windows found in most commercial buildings. If your insurance does not cover them undergoing extraneous activities and anything happens, you could find yourself in a lot of trouble. Cleaners will occasionally sign Non-Disclosure-Agreements and Confidentiality agreements before being allowed to enter certain offices which have access to highly sensitive material. Although for your industry this may be overkill, you should still feel more secure if you know that the firm you hire and give access to your office, generally after hours, performs background checks before they hire staff. Choosing to use the services of a professional window cleaning company means that this is not another task to go on your to-do list. Window cleaners, particularly those working on multi-stories buildings, are regulated by the Washington State Department of Labor & Industries (see their website for detailed information: https://www.lni.wa.gov/Safety/Topics/AtoZ/WindowCleaning/ ). There is strict protocol and guidelines about the equipment used, the training required, and the responsibilities of any company engaged in the business of commercial cleaning. Obviously in this industry the biggest safety concern is ensuring that cleaners do not fall, so fall protection equipment is understandably of the highest quality and should be inspected regularly. When you are hiring a company to look after your windows you can check both their safety record and confirm that they have insurance and a health & safety policy for their workers. The central business district of Spokane is known as “Downtown Spokane” and although there were only two high-rise buildings until 2000, since then the area has undergone a period of major growth and development – with a lot of windows to clean! The tallest building in Spokane is the 20 storied Bank of American Financial Center – which is 288ft tall. Until 1981 it was the Paulsen Medical Center that had the honor of being Spokane’s tallest building. Although traditionally the mining, forestry and agricultural industries and been driving forces of Spokane’s economy, there is a rapidly increasing development of high-tech and biotech businesses. Which is also seeing a growth in commercial building space requirements. According to a report from NAI Black the majority of new office construction is for “large, single-tenant users”, which will create an interesting outlook for the downtown area. Lots of shiny new buildings mean that if your building is allowed to remain dirty or grimy it will stand out – and not in a positive manner. Dirty windows, overflowing gutters, grimy brickwork, these are all the things that will detract potential customers from your products and services and give them the impression that you don’t care about your business – and if you don’t care, why should they? It’s often something that is considered insignificant, but in business, appearances do matter.